James Butler (1665-1745), an Irish statesman and soldier, was the son of Thomas Butler, Earl of Ossory, and his wife, Emilia von Nassau, Countess of Ossory, and grandson of James Butler, 1st Duke of Ormond. Through his grandfather, the 1st Duke of Ormond, Ormond was a distant cousin of the Ballybur branch of the Comerford family, and as a Jacobite exile in France, Ormond sometimes used the name Comerfort or Comersfort as a pseudonym in his letters back to Ireland and England the period 1718 and 1719, and these letters survive in the British Library in London. James Butler was born in Dublin on 29 April 1665, and was educated in France and afterwards at Christ Church, Oxford. On the death of his father in 1680, James assumed the courtesy title of Earl of Ossory. 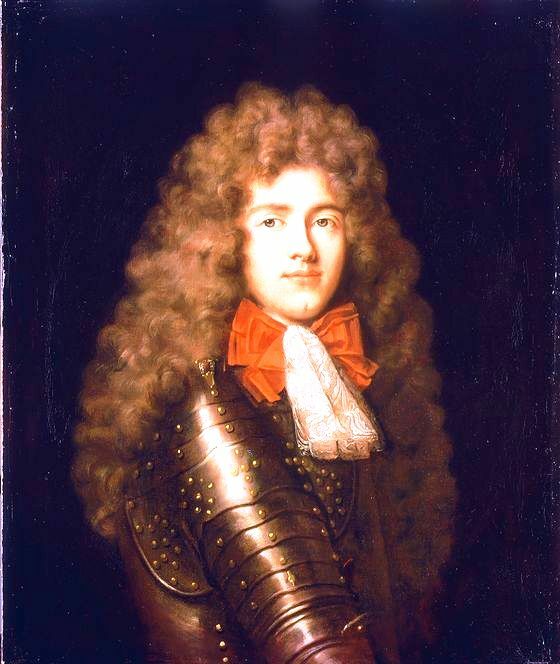 He obtained the command of a cavalry regiment in Ireland in 1684, and following his appointment at court on the accession of James II, he fought against the Duke of Monmouth at the Battle of Sedgemoor in 1685. In 1688, he succeeded his grandfather as the second Duke of Ormond, and was made a Knight of the Garter. From 1688 to 1715, he served as the eighth Chancellor of Trinity College Dublin – his grandfather, James Butler, 1st Duke of Ormond, had been the sixth Chancellor. He also succeeded his grandfather as Chancellor of the University of Oxford, from 1688 until 1715, when he was succeeded by his brother, Charles Butler, Earl of Arran. In 1688, Ormond supported William of Orange, who made him the colonel of a regiment of horse-guards, which he commanded at the Battle of the Boyne in 1690. A few weeks after the Battle of the Boyne, he entertained the victorious William at a grand banquet in Kilkenny Castle, which had been protected from plunder by General Lauzun. Later, in 1691, Ormond fought in Continental Europe under William III, and was severely wounded at Landen, where he was taken prisoner. Ormond was at William III’s deathbed, and after the accession of Queen Anne to the throne, he became commander of the land forces co-operating with Sir George Rooke in Spain, where he fought in the Battle of Cádiz and the Battle of Vigo Bay. Ormond was made a Privy Councillor, and on 19 February 1703 he succeeded the Earl of Rochester as Viceroy of Ireland, a post he held until 30 April 1707, when he was succeeded by the Earl of Pembroke. Ormond became Lord-Lieutenant of Ireland once again on 26 October 1710, when he succeeded the Earl of Wharton, and he held that office until 22 September 1713, when he was succeeded by the Duke of Shrewsbury. 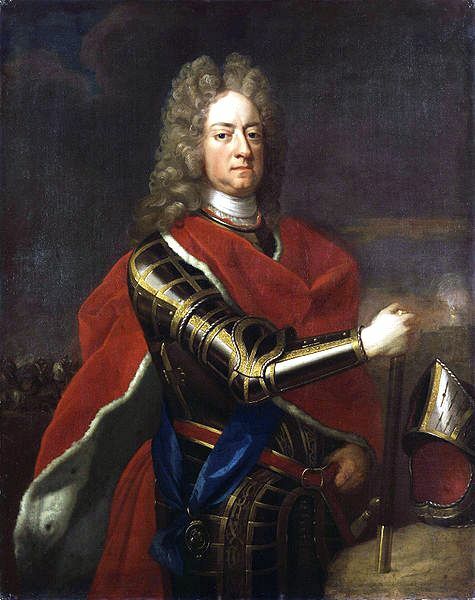 Meanwhile, on the dismissal of the Duke of Marlborough in disgrace in 1711, Ormond was appointed in his place as Commander-in-Chief of the armed forces and Captain-General. He allowed himself to become the tool of the Tory ministry, whose policy was to carry on the war in the Netherlands while giving secret orders to Ormond to take no active part in supporting their allies under Prince Eugene of Savoy. On his return to England, Ormond was warmly received and made Warden of the Cinque Ports and Governor of Dover, while his wife was made a Lady of the Bedchamber. Through his interest, Jonathan Swift was appointed the Dean of Saint Patrick’s Cathedral, Dublin. During the last years of Queen Anne’s reign, Ormond almost certainly had Jacobite leanings, and he corresponded with both his cousin, Piers Butler (1652-1740), 3rd Viscount Galmoy, a descendant of the 10th Earl of Ormond and the commander of a Jacobite regiment, and James FitzJames (1670-1734), 1st Duke of Berwick, who was James II’s illegitimate son, Galmoy’s brother-in-law and the husband of Patrick Sarsfield’s widow. Ormond’s position as Captain-General made him an influential figure in the crisis that followed the death of Queen Anne on 1 August 1714. Although he had supported the Williamite rebellion in 1688, he had traditional Tory sympathies, and politically he followed Lord Bolingbroke. Despite these political leanings and social connections, Ormond joined Henry St John, Viscount Bolingbroke, and Robert Harley, Earl of Oxford, in signing the proclamation of King George I. Nevertheless, the new Hanoverian monarch soon moved to deprive Ormond of his command as captain-general. His estates were forfeited and his titles extinguished. In 1716, the Irish Parliament passed an act that confiscated his immense estates, including Kilkenny Castle, extinguished the regalities and liberties of the County Palatinate of Tipperary, and offered a reward of £10,000 to anyone who apprehended him in Ireland. In France, Ormond lived for some time with Bolingbroke. Jonathan Swift continued to hold Ormond in the highest regard, and continued to correspond with the Duchess of Ormond. A letter from Swift was among the items seized at the time of Ormond’s impeachment. As a Jacobite exile in France, the Duke of Ormond often used the name Comerfort or Comersfort as a pseudonym in his letters back to Ireland and England the period 1718 and 1719, and these letters survive in the British Library in London. Through his grandfather, the 1st Duke of Ormond, Ormond was a distant cousin of the Ballybur branch of the Comerford family: his grandfather was a first cousin once removed of Grany Kavanagh, who married John Comerford of Ballybur (see: 4: Comerford of Ballybur Castle and Kilkenny City),and a second cousin of both their son, Garret Comerford, and Garret’s wife, Ellen Shee. This makes the second duke a fourth cousin of William Comerford (post 1690-post 1777), who moved into the former Langton home in the Butterslip, Kilkenny, after his son James Comerford (see: 14: James Comerford (ca 1720-1808)) married Anne Langton. The variant in the spelling of the Comerford family name adopted by Ormond was not uncommon at the time, and was also used by Joseph Comerford of Anglure (see: 9: Joseph Comerford (d. 1729), Marquis d’Anglure) in correspondence around 1724. Ormond later moved to Spain, where he settled, found favour at court and enjoyed a pension from the crown. He took part in a Spanish plan to invade England and to put James Francis Edward Stuart on the British throne in 1719, but his fleet was disbanded by a storm near Galicia. In Avignon, he was visited by the intrepid traveller, Lady Mary Wortley Montagu, in 1733. After living 30 years in exile, Ormond died in Avignon on 16 November 1745. His body was brought back to England and he was buried with some of his ancestors in Henry VII’s Chapel in Westminster Abbey. Although he demonstrated little of his grandfather’s ability and character, Ormond was still one of the great figures of his time. He enjoyed a popularity which, with greater stability of purpose, might have enabled him to exercise a more commanding influence over events. Ormond was married twice. He married his first wife, Lady Anne Hyde, daughter of the Earl of Rochester, when he was merely 17, and she left him a widower when he was 30. In 1695, he married Lady Mary Somerset, a Lady of the Bedchamber and daughter of Henry Somerset, 1st Duke of Beaufort, and Mary Capel. Although he had no children by his first wife, Ormond and his second wife, Lady Mary Somerset, had a daughter, Lady Mary Butler (1682-1713), who married John Ashburnham, 1st Baron Ashburnham. Dean Swift wrote of her: “She was my greatest favourite, and I am in excessive concern for her death, I hardly knew a more valuable person on all accounts.” Ormond also had an illegitimate daughter Julia Butler, who married Edward Evelyn, son of George Evelyn and Margaret Webb. Meanwhile, an act of parliament passed in Ireland in 1721 had enabled Ormond’s brother, Charles Butler, Earl of Arran, to buy back the Ormond estates but not to resume the title of Duke of Ormond, and the Butler Ormonds never recovered the rights, privileges and revenues associated with the tenure of the County Palatine of Tipperary. Charles Butler, Earl of Arran, who bought back the estates, was in reality the third Duke of Ormond, but he never assumed nor was aware of possessing the title, despite the fact that an attainder in the English Parliament did not affect Irish titles. On his death in December 1758, the titles of the Ormond Butlers became dormant, until they were assumed legally in 1791 by John Butler, a descendant of Walter Butler, 11th Earl or Ormond, who was recognised as the 17th Earl of Ormond. (c) Patrick Comerford, 2009, 2013. Last edited and revised, 19 June 2009; 5 January 2013.